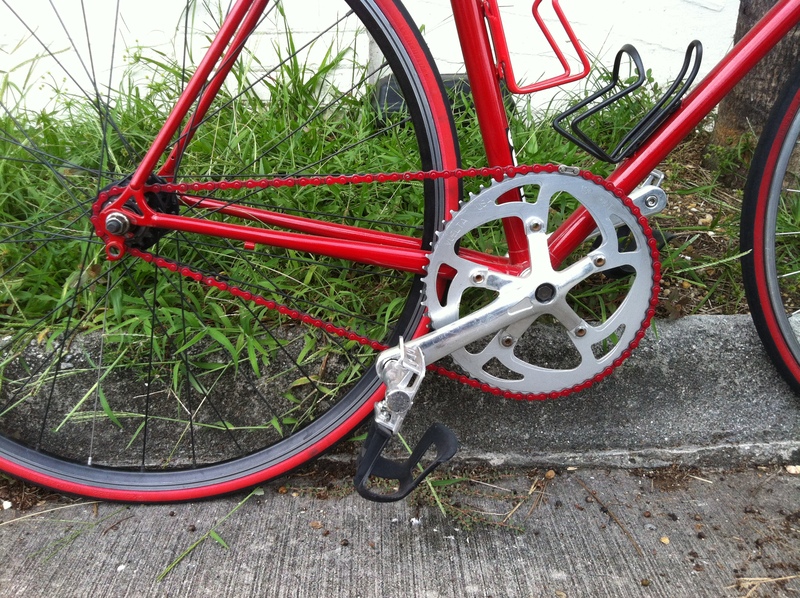 Consignment: Red Raven Custom Fixed-Gear (Flip/Flop) Schwinn Pursuit Bike | ZenCog Bicycle Company: Riverside's Bike Shop. 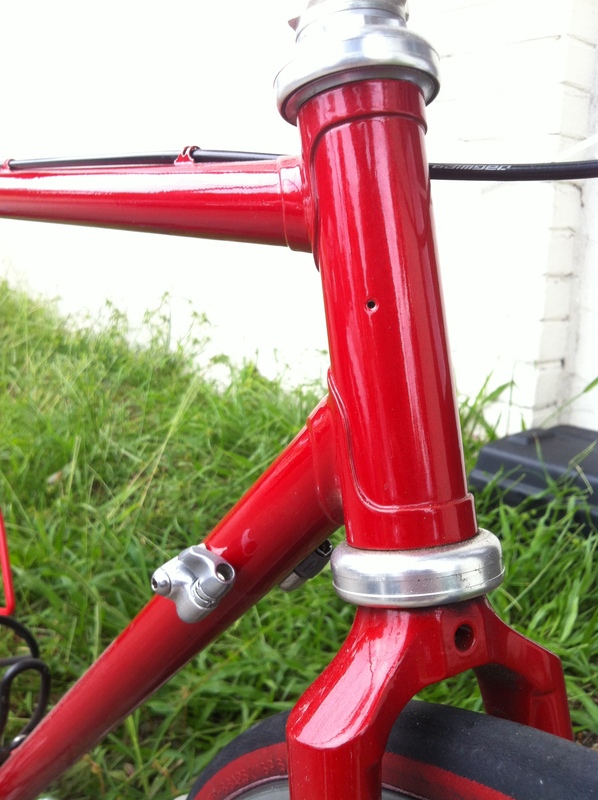 Classic Schwinn Super Sport pursuit frame. 1987, looks brand new. Own a piece of cycling history and help Raven meet his goal, riding for Multiple Sclerosis: throw a leg over Raven Stands-Alone‘s custom-built track bike for legs like tree trunks. 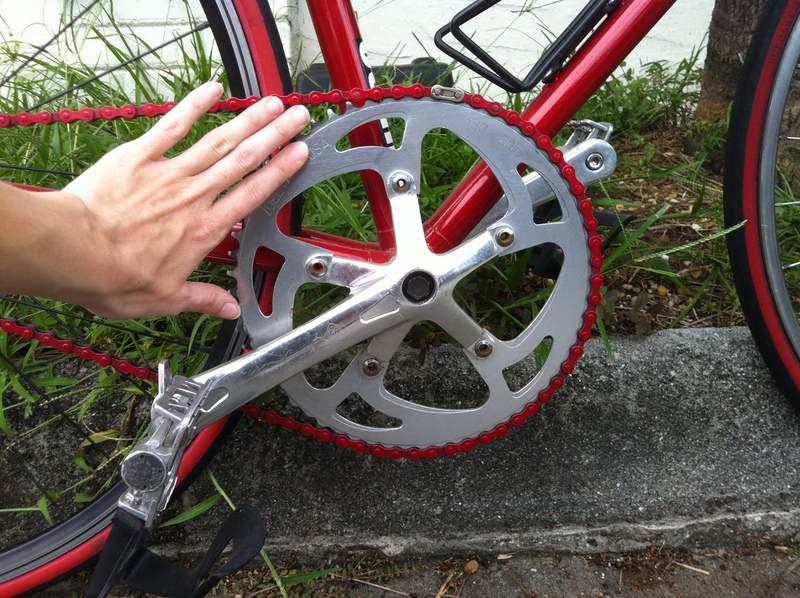 Yes, the chainring really is that big. 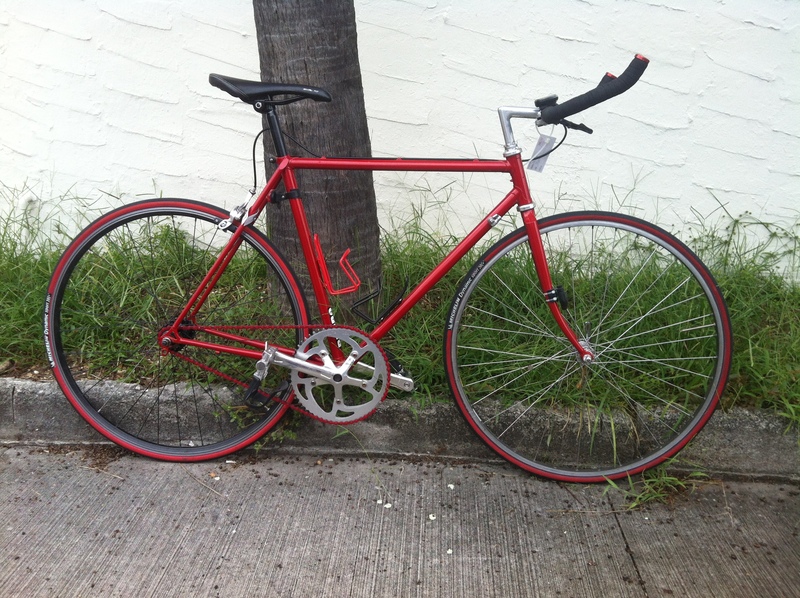 (Also available: Raven’s Brooks B17 leather saddle in great condition.) 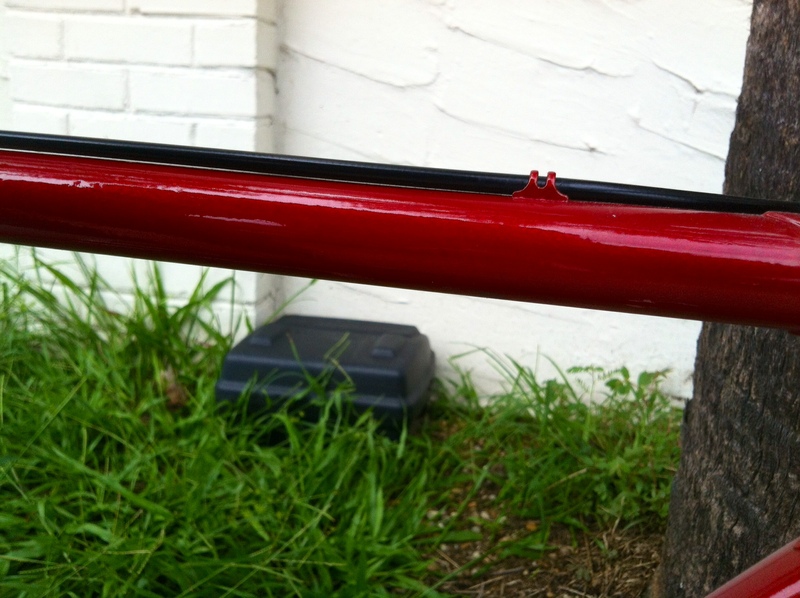 Freshly powder-coated, for a squeaky-clean look.